I was delighted to be asked to help my gardening chum, Winslow woman, Liz, work on her new garden. The family moved in December 2009 and Spring of 2010 we made a start. 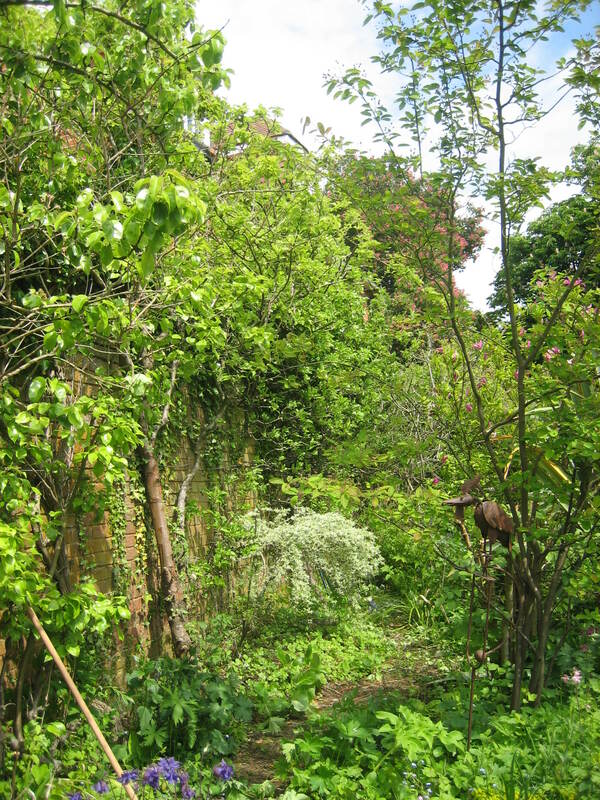 The new garden was anything but new; an entirely walled space approximately 50m/160 feet in length and 5.5 m/ 18 feet in width at its narrowest, house end, stretching to 9.1m /30 feet . 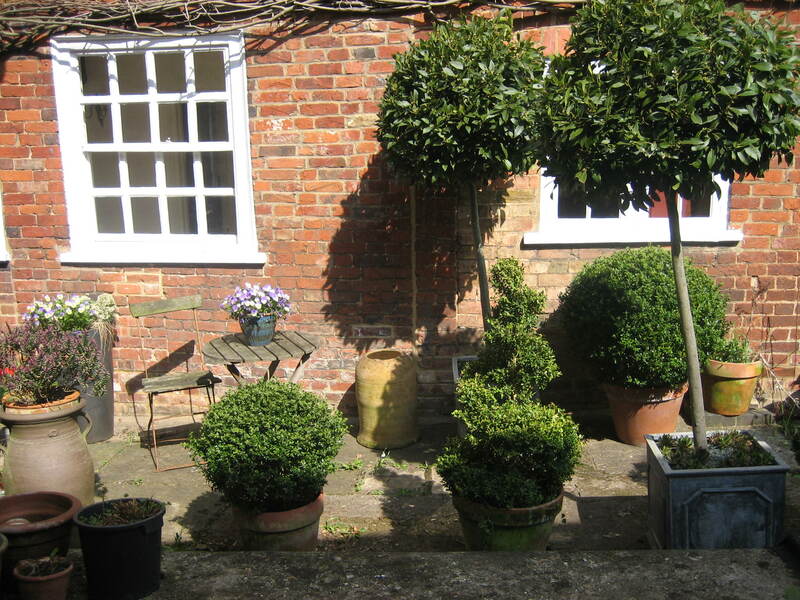 The place had been in ownership of the same family for about forty years, and the not insignificant space was literally stuffed with plants. 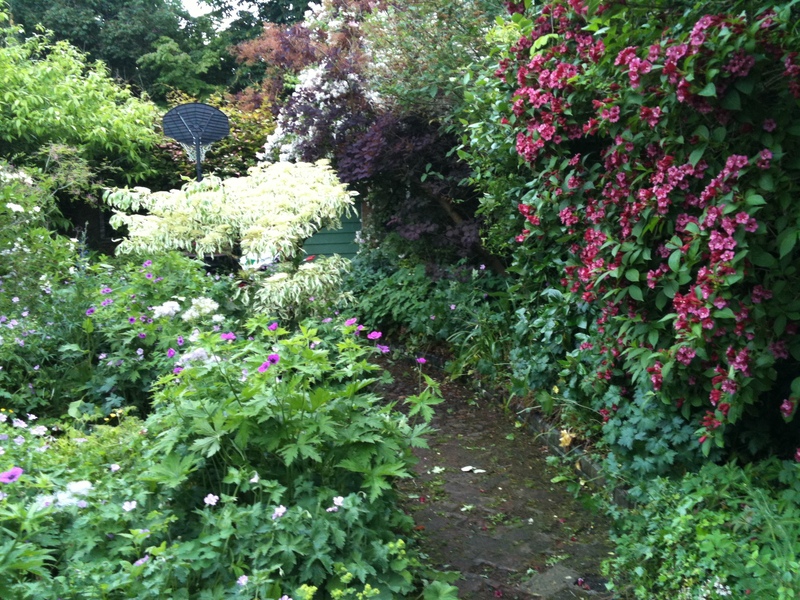 Sadly the garden had become very overgrown and by the time my friend moved in, you could hardly make your way around the paths. 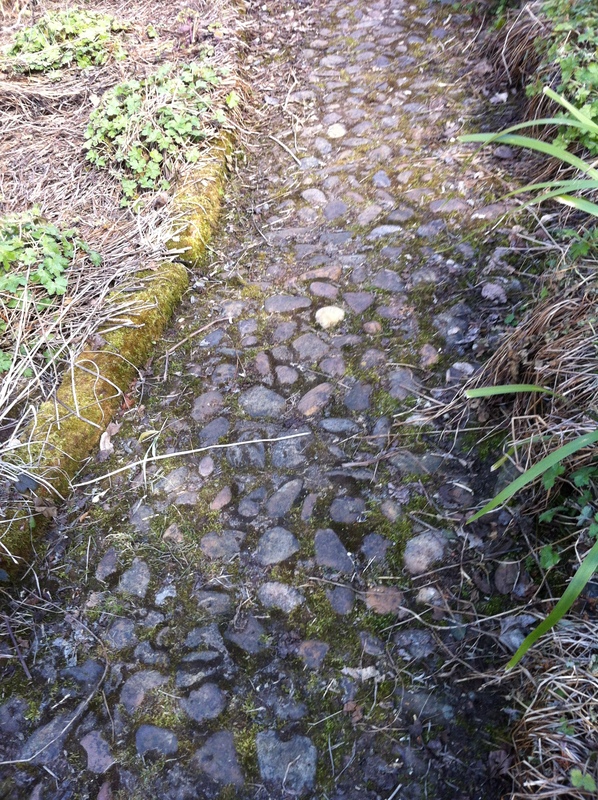 Those paths of pebbles set in concrete were covered in years of moss and weeds and consequently were as unsightly as they were treacherous. The house was in need of renovation and that was the priority, so the first year was about looking at what was coming through and cutting back some of the shrubs to allow light through. Oh my, the amount we chopped back during that first season. 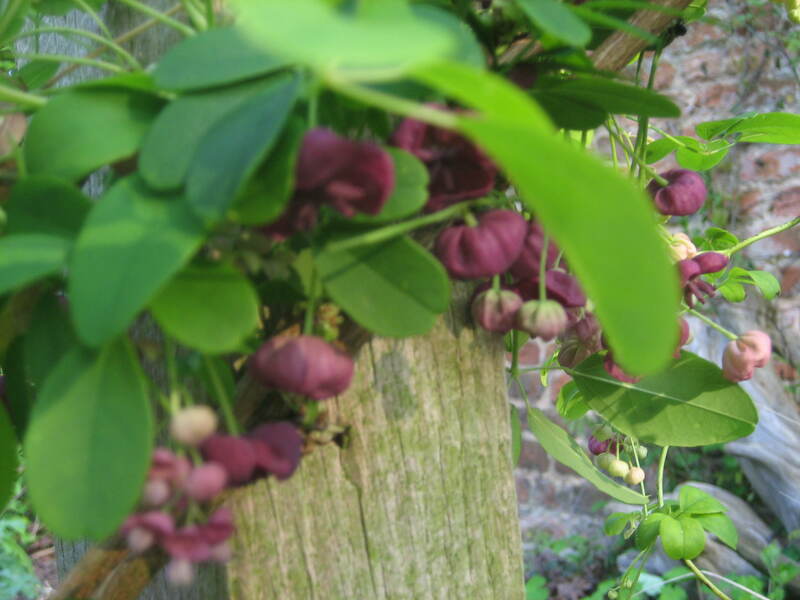 First we tackled the climbers, Wisteria floribunda was threatening to make itself at home in the bedrooms so it was first to feel the pinch of our secateurs. scrambling unchecked up the walls of the house, the neighbours house and the garden walls. We started at the house-end of the garden and slowly worked our way along. This alone was a massive project which filled Rhino bag after Rhino bag. Thankfully those friendly gardeners at Winslow Hall allowed us to take masses of cuttings into the grounds, to the bonfire site where it was burned. This kind gesture was a God send as it saved numerous trips to the local household waste site. 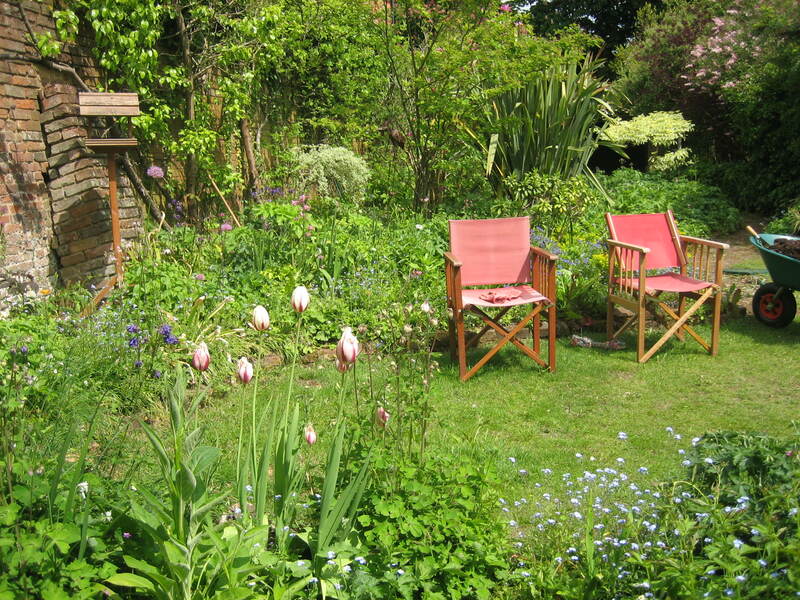 By early Summer the garden was lush and colourful with little room to pass. 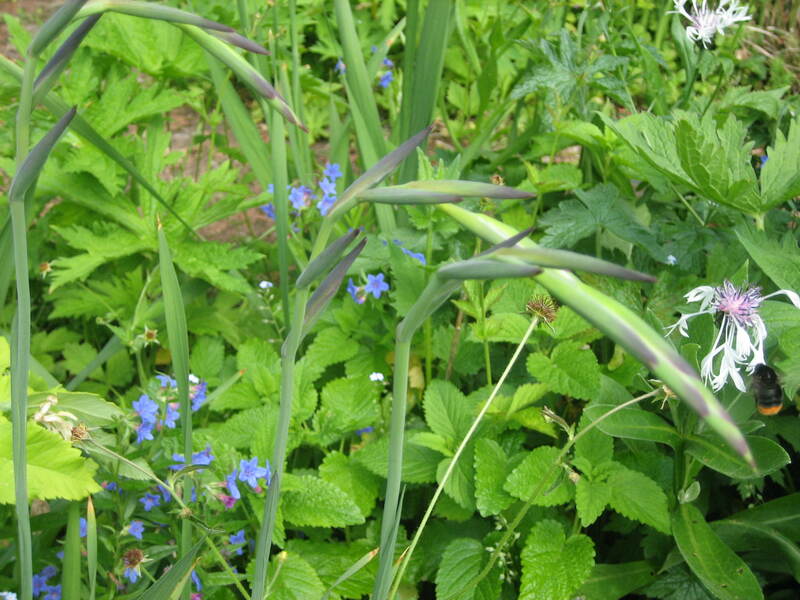 and Stinking Iris, Iris foetidissima. It really felt like we were discovering the previous owners gardening likes and we could almost imagine her smiling to see us enjoying them. Naturally some of them were not to our taste but it was exciting seeing them reveal themselves to us for the first time. 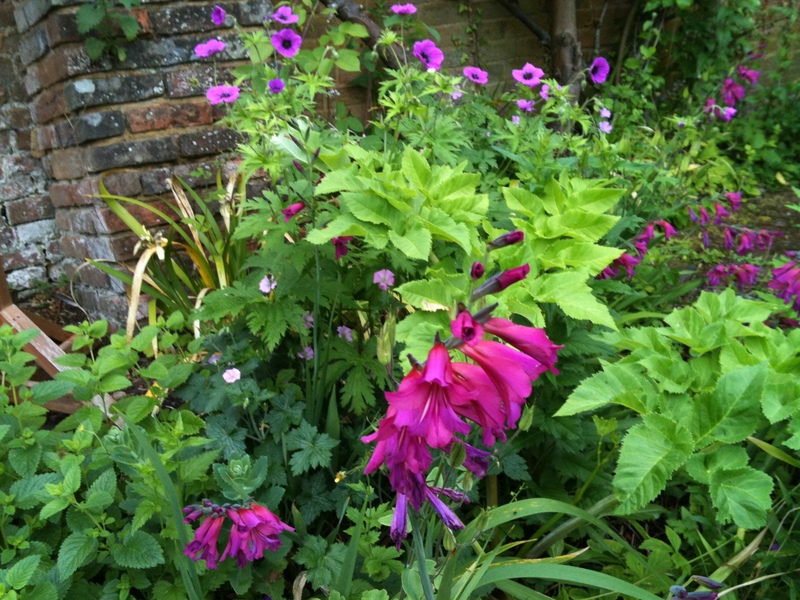 Gladiolus communis Susp. 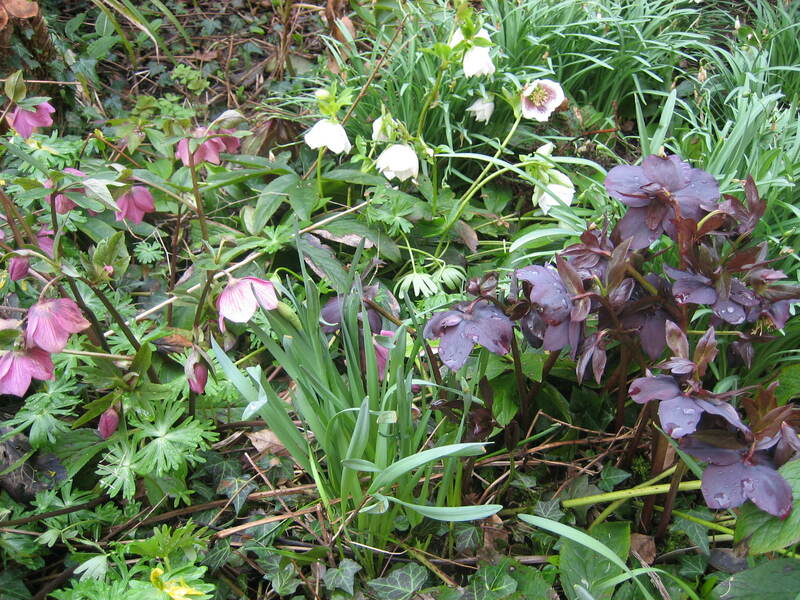 byzantinus with Lemon balm, Stinking Iris, perennial Geraniums and emerging foliage of Angelica archangelica. It took many hours to work our way through it all. 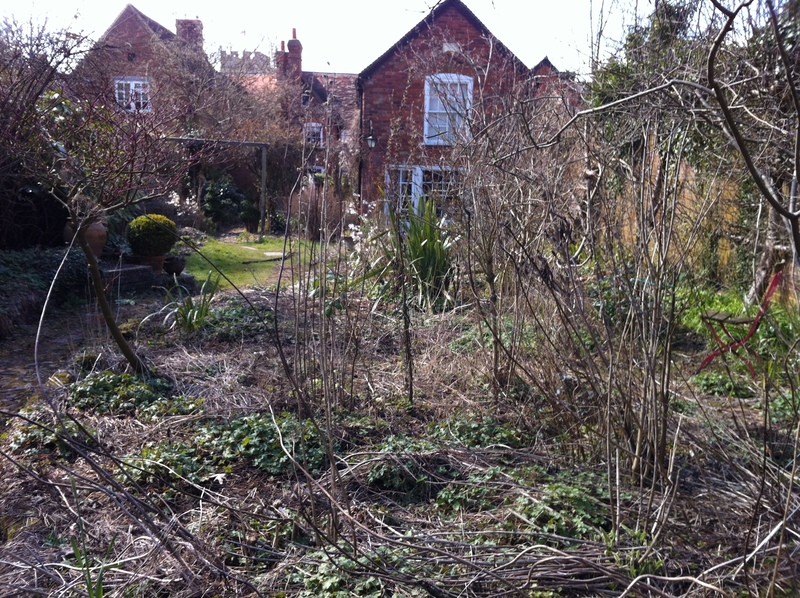 There were the usual weeds to be dealt with, miles and miles of Ivy as well as troublesome self sown Sycamore. The shrubs felt the blade of our saw and we were brutal, reducing some to barely 1 meter. 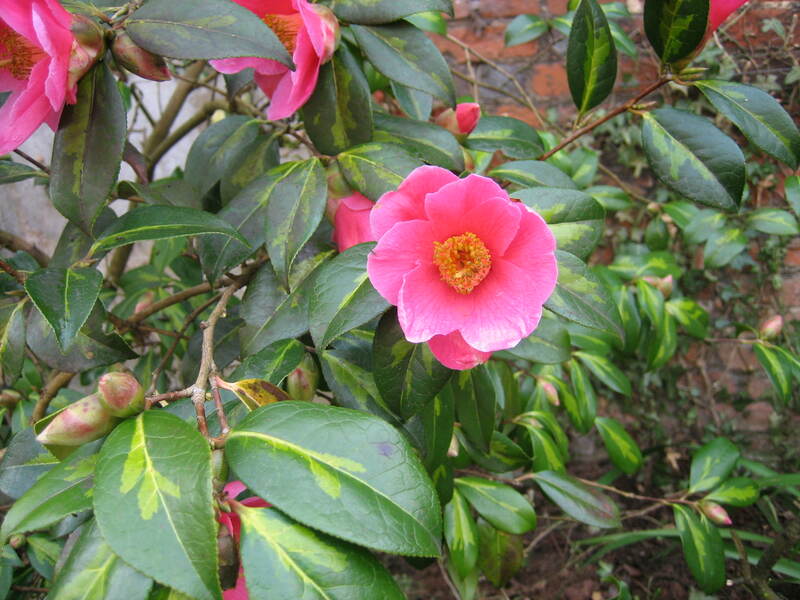 There was so much to get done, it was felt that if we only trimmed plants back to shape, they would no doubt, be in need of a prune again later in the year, and there was no time for that. We were ruthless. By early 2011 areas were cleared and we could start to see the space and begin formulating plans. 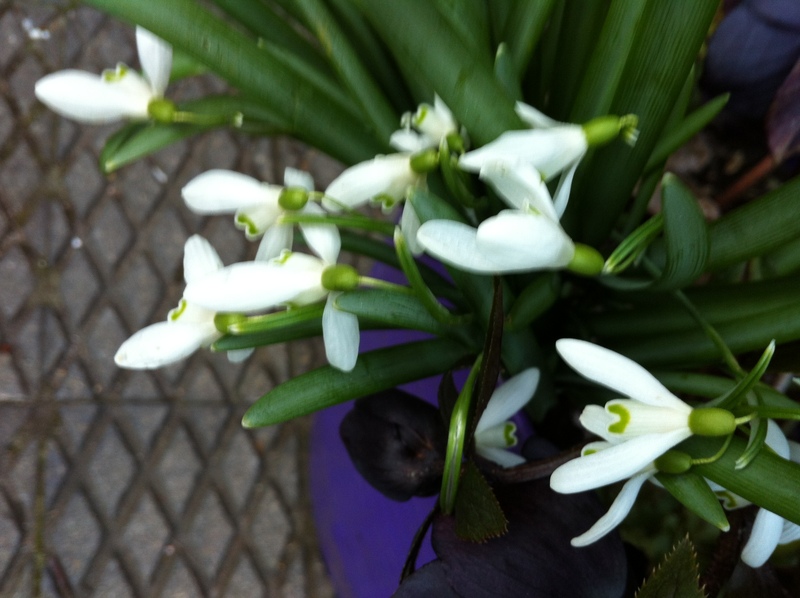 Liz is a keen gardener, after all we met at Horticulture college, and she had a wonderful collection of her own plants that she wanted to be able to plant in the ground, having carted them around in pots for many years. These are just a few! There was a mean patch of grass and island beds around which our unruly dogs ran. The soil was a fantastic crumbly texture thanks to years of recycled compost. Plans began to form. Budget was key and so the plans kept developing while money was saved. 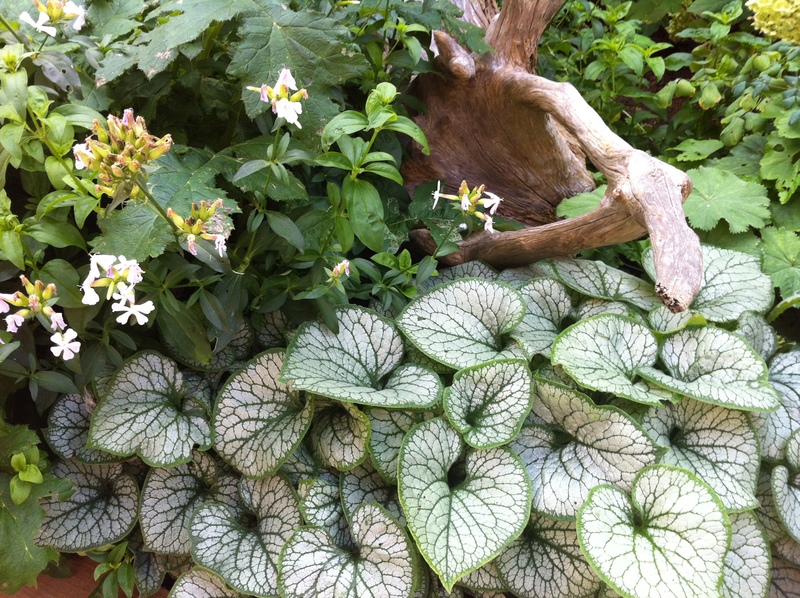 In the interim the garden was enjoyed as much as possible. 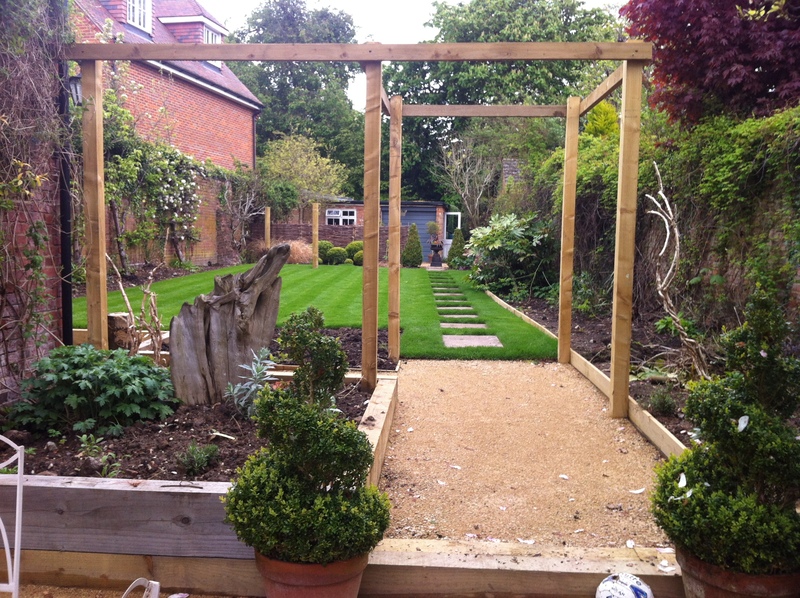 The paths had to go, a larger lawn area was wanted. The pergola that was barely vertical needed to be replaced. 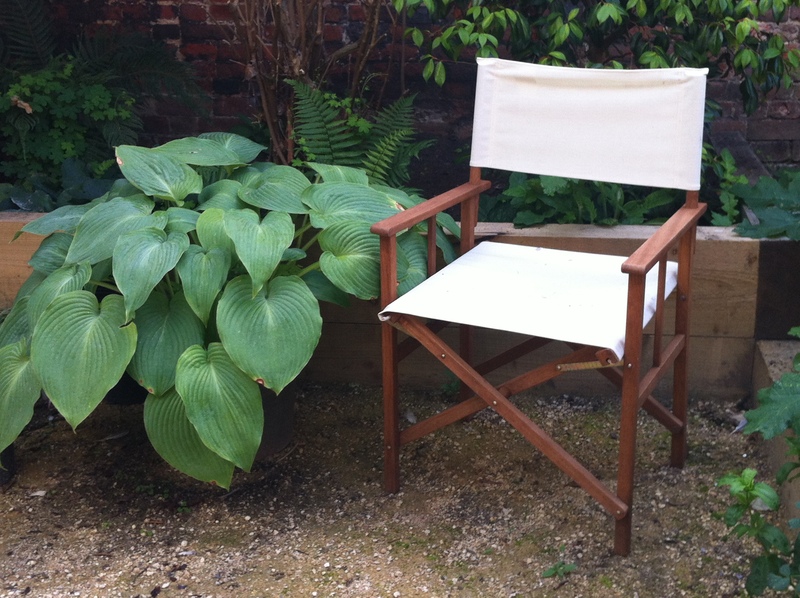 The mean little patio was far too small for a table and chairs, so it would need to be enlarged. The island bed blocked the sight line through the garden. 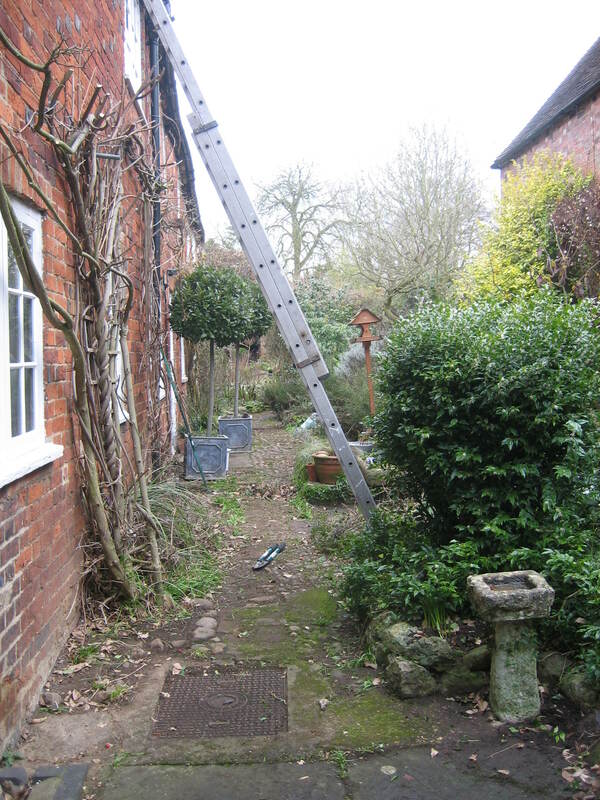 The garden needed to be easier to manage and the fruit trees on the walls needed light. Quotes came in and plans were modified. In April 2013 work was to start. We had a frantic day digging up lovelies to be saved from the digger. Anything dug up was bunged in black plastic bags and stacked in the shade with our good wishes. Two chances! Work was about to start. I came home with a few little gifts for my garden and returned two weeks later to start work on the fun part: planting up. The transformation was astounding. The bold decision to clear so much from the space made way for the eye to enjoy the beautiful garden walls which hither to were lost. 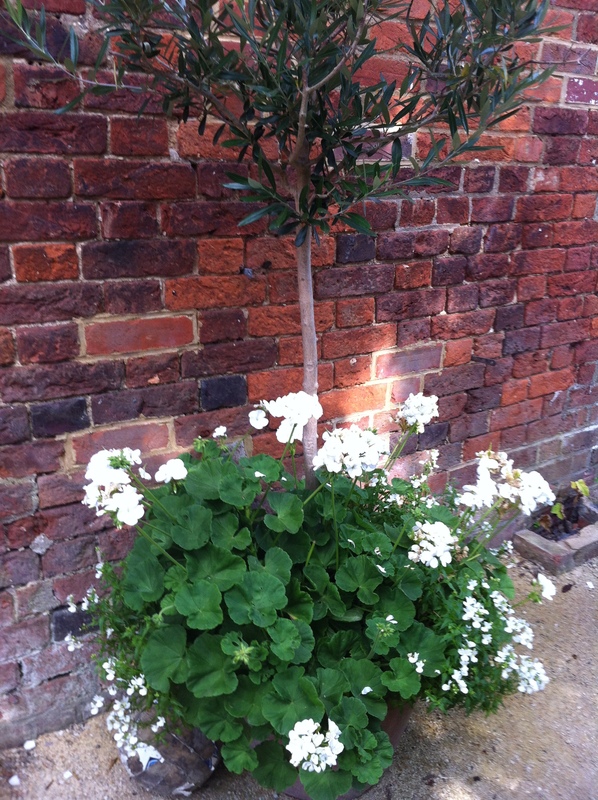 Daylight could find its way back into the space and the pear, apple and fig trees were given space to grow again. 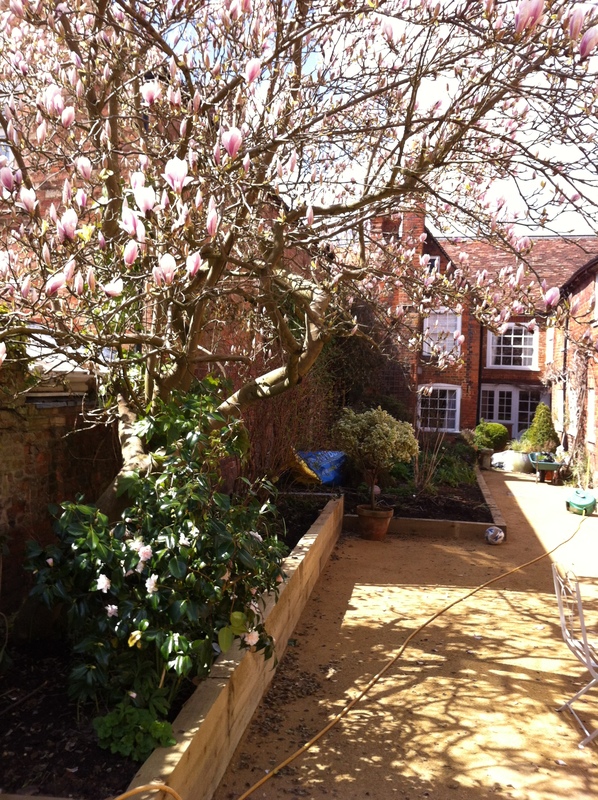 The existing Magnolia soulangeana had space to sprinkle a romantic shade over the new seating area. The borders which had evolved into mammoth proportions were redefined with timber boards and sleepers, making them a more manageable size. 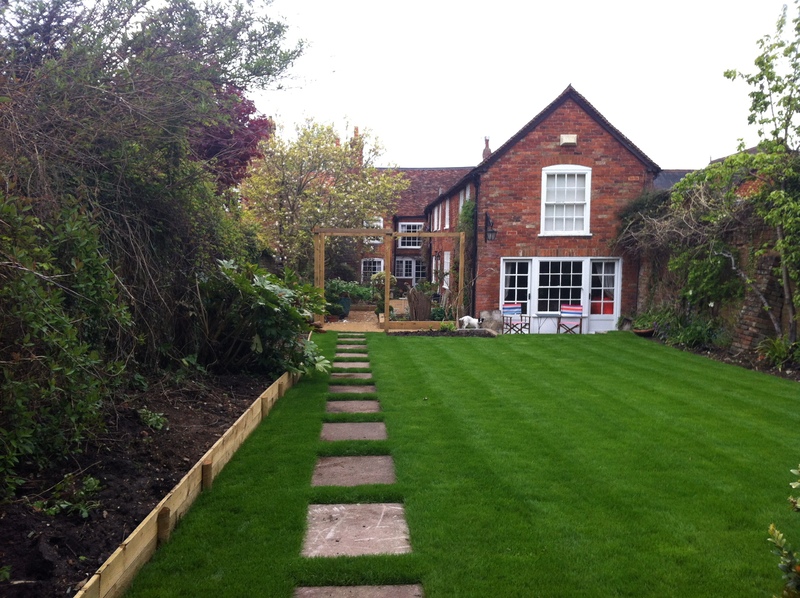 A new lawn was created and where possible any slabs lifted were reused. 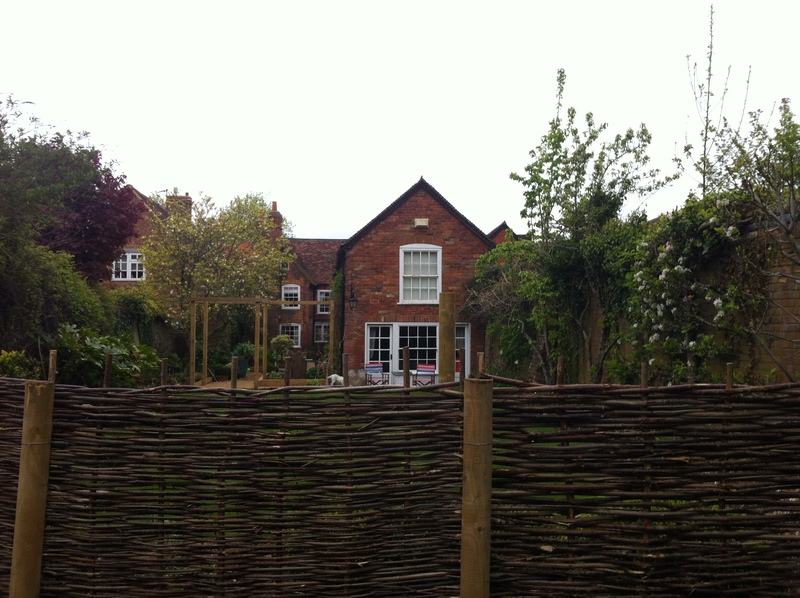 A rustic screen was installed to divide the space from the ‘working’ area of the garden containing the vegetable patch, compost heaps and garaging. 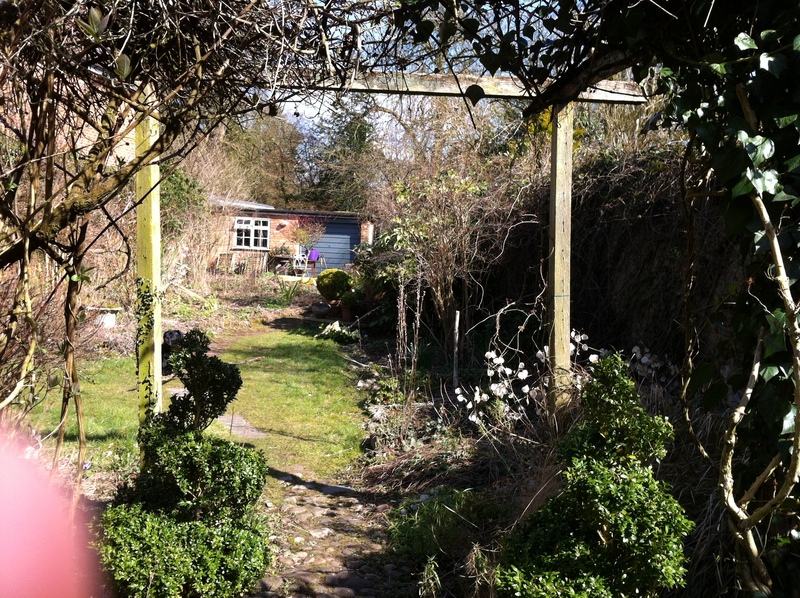 The pergola was replaced and the existing climbers were gently teased back towards the frame. Topiary box which had been contained for so many years were finally grouped to make a pleasing arrangement at the end of the garden. The new paths were a comfortable width, there was room to step out of the backdoor without having to limbo the undergrowth. 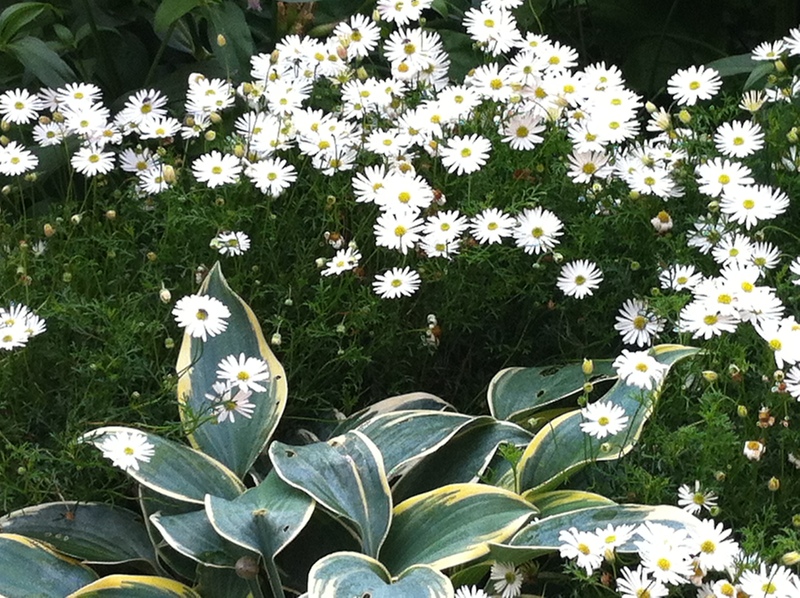 A number of plants in the beds outside the kitchen had taken over so they were removed and to add light to the shady area new planting included a predominance of white. 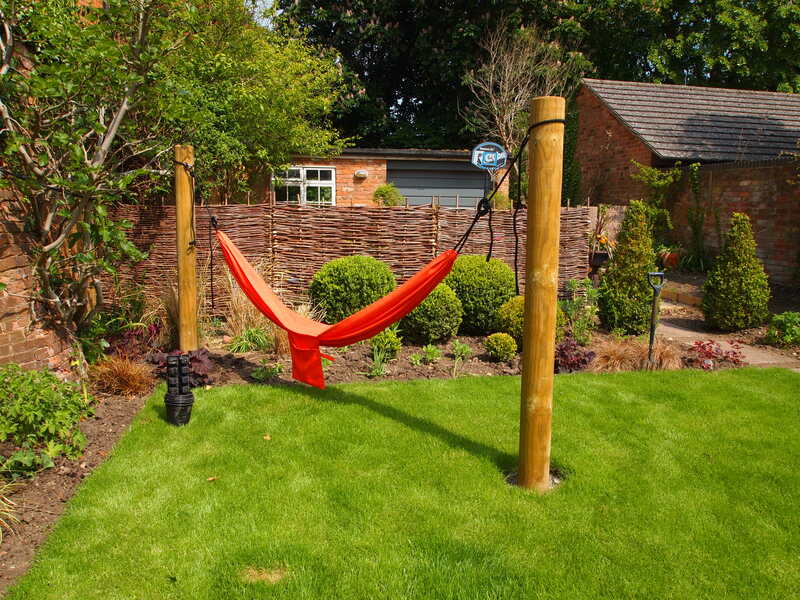 The time, planning and money that went into the garden was well spent: the garden has been transformed into a family friendly area, is easier to maintain and therefore enjoy. 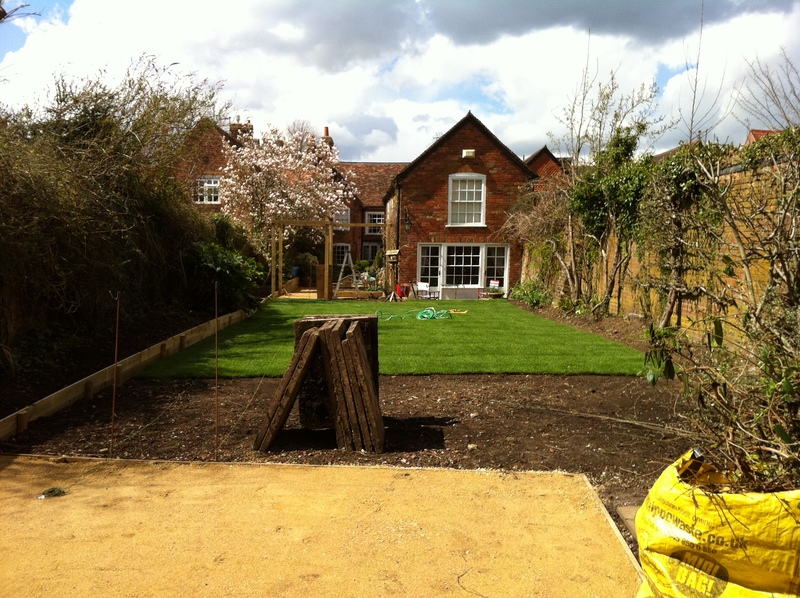 The new scheme reflects the change in garden fashion, gives the family space to play and entertain, as well as providing the owner with a beautiful backdrop for her much loved plants and garden ornaments. Winslow woman has carried out a similarly beautiful transformation to the interior of the house and has rooms available for Bed and Breakfast. 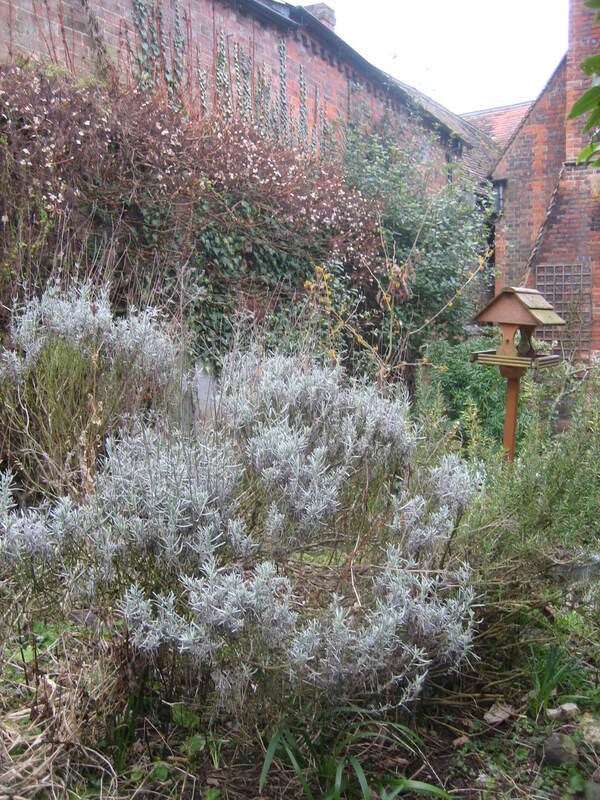 If you like the look of this interesting garden and would like to arrange a stay, please contact me and I can let you have more details.